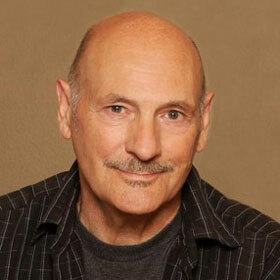 Keyboardist Mike Pinder was a founding member of the Moody Blues. 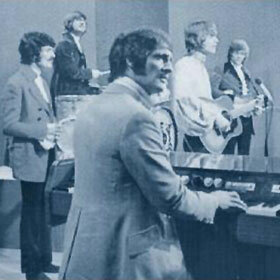 He was with them back in the really early days, when their lead singer was Denny Laine (later of Wings) and they scored a hit with “Go Now.” He was one of three members(along with flautist Ray Thomas and bassist John Lodge) who remained with the group as they became the quintet that most remember, the one with lead vocalist Justin Hayward and drummer Graeme Edge. That group released what are known among fans as the “Core Seven,” a series of albums that prominently featured Pinder’s arrangements and keyboard work, most notably on the Mellotron. Bill Kopp: I bought The Promise on vinyl many years ago. When I first heard it, it came as a bit of a surprise to me, as it wasn’t what I had expected: a Mellotron album. Only the title track sounds much like what we’d heard from you before. 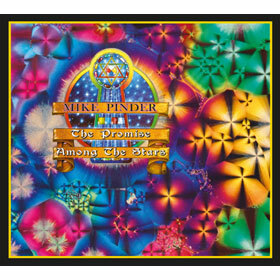 Was it a conscious decision for you to create an album that overtly moved away from keyboard-focused songs, and from the heavily orchestrated sound of the Moody Blues? Mike Pinder: I don’t think it was a conscious decision. I just gave choose the arrangement that I think fit the song. Recording on my own for the first time in many years just gave me the flexibility and freedom to use other musicians and friends and experiment a little more. BK: A few years ago, I interviewed Graeme Edge, and asked him about the possibility of the Moody Blues doing what a number of groups have done: performing complete albums live onstage, start to finish. He said no, and his reason had to do with your songs: “We have considered it, but there’s a problem: we wouldn’t have somebody else sing a Mike Pinder song. It wouldn’t be right; there’s a phoniness to that.” What are your feelings on the subject? BK: Moody Blues albums from 1967 to 1972 always featured one, two or more of your songs, since the band had several songwriters. I’m reminded of George Harrison once he left the Beatles and released All Things Must Pass. Was yours a similar situation, in that you had a huge backlog of songs you hadn’t had the opportunity to record and release, or did you write most of the tunes for The Promise specifically for the album? MP: It was about 50/50. But it is interesting you make that analogy. Yes, like George I had songs in the wings. Musical ideas, like other art forms, are unique only in their expression. I don’t think ideas are individual by any means. But the transformation of the idea by the individual into art gives it uniqueness. Here is a little fishing metaphor for the creative muse. I like to visualize creative ideas as being poured out of an urn, almost like Aquarius pouring out water. And then the wind would blow them, ideas, musical notes, lyrics, color etc and they would flow like a river. Alongside the river would be people sitting, with pencil in hand, an empty notebook or a guitar on their knee (which is metaphorically like fishing tackle) As these ideas come by, you try and grab one for you. Quite often that is what happens and you would hook something, and you would struggle with it, but you could never quite get it in the boat. So you have to cut your line. I remember buying a George Harrison album, and hearing a song, and thinking “that’s the one that got away.” I didn’t get it, but further downstream (and George used to live about three miles away) George was up that night and hooked the bugger. Late at night when everyone is asleep has always been my favorite time to fish. I think when the world is quite it is easier to listen to the muse. BK: I have read that “One Step Into the Light” was one of yours from the time of The Promise. It’s such a strong song; assuming that account is accurate, what led you to not including a version of it on your own album to begin with? MP: “One Step Into the Light” was originally on Octave, which was the last album I recorded with the Moodies. We were not getting along very well in the recording studio, and I did not think any of the songs on that album got the attention they deserved. It was lovely to reflect on the song over time and re-record it with my sons.